Sony may be preparing a “Game of the Year”-esque release of Gran Turimso 5 for release early next year if entries on Amazon.com and NewEgg are to be believed. 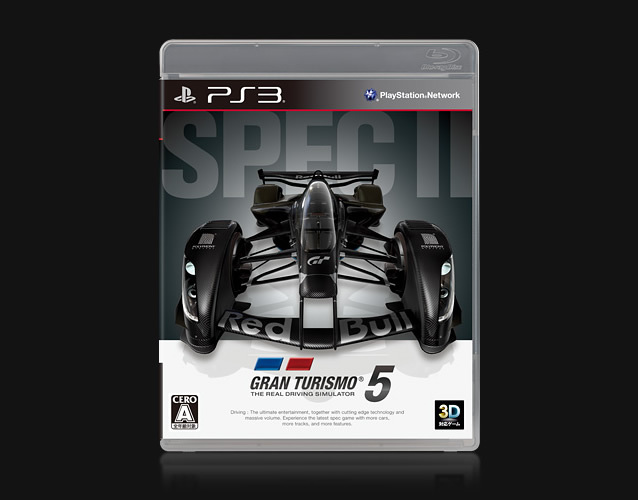 Titled Gran Turismo 5 XL, this new edition of the 2010 racer may include previously released downloadable content as well as the Spec II update. Spec II added a new cockpit view for standard cars, a brand new opening movie, 11 new NASCAR cars and improvements to the online mode. The update was originally released this past October over the PSN for free. It would make sense that Sony would want to include Spec II on store shelves since anyone playing GT 5 without an internet connection would still be playing the original version. Gran Turismo XL is current scheduled for release in Japan on February 2nd, 2012 and in North America on January 17th if Amazon’s listing is accurate. Below: The Japanese box art for the “Spec II” re-release of GT 5.